In order to get more traffic to your blog, it is important to establish a readership base. Facebook and Twitter combined may have the largest number of humans on the web. Still, the kind of traffic they generate is not stable and sometimes may not be targeted. However, by utilizing social networks to your advantage, you can get the deserved acclaim for your writing. One should turn every little opportunity into something that can bring in rewards. These are the social media sites where you should stay active. Sharing your articles, journals and links on these websites will get you more subscribers to your blog. This is one of the largest blogging communities out there. If you maintain a profile on Bloggers and put your blog up there, you can attract visitors to your blog—but don’t forget to write a brilliant bio. This gives fellow bloggers and readers an idea of what kind of writer you are in a place apt for showcasing your dexterity in writing. Use marketing techniques such as making contacts with Blogger members who you think will review your content. One of the great features of the site is a section named “Editor's Picks.” It showcases blogs that are picked up by the team of editors on Bloggers. If you write great stuff and keep writing that way, it may be possible for you to grace that coveted spot. This sort of appreciation will provide immense exposure. Moreover it establishes your personal identity, which is craved by writers. For those who have the ability to churn out a brilliant story and be able to write it well, this place is a haven. Here you can display your storywriting skills that are deeply related with screenwriting. Hollywood is always on the lookout for stories apt for movie making. A compelling story that is written with craftsmanship of a writer and with a personal touch is the most sought-after type. Write short stories, and you may reach the Featured Short Story section on the home page . This can open avenues for revenue and fame. It stands for National Novel Writing Month. This social media site is actually a contest website where authors commit themselves to writing a 50,000-word novel in a month's time. That month is November. This site puts you into the driver's seat and gives you that zeal and courage you have always wanted. In a month’s time, people have found themselves finishing huge literary works of critical acclaim. The point is that if you've got a story in mind, then go for it. Shun everything else and devote your time towards your writing career. You get to monitor your daily progress which imposes a sense of urgency. If you have always been only thinking of writing or finishing that novel of yours, NaNoWriMo can fuel you . This is an award-winning site related to writing. Here you can get answers and advice on writing tips such as how to finish a novel, and you can find tools and software for chalking out a perfect ebook. The technical aspects of writing, cover designing, layout, font size, spacing and much more are all discussed here. Moreover with the amount of targeted traffic this website gets, you can draw in some readers to have a look at your work. You can also learn about various marketing strategies that successful writers have employed. Get to know fellow writers here. You can get quality advice on how to market your book, popularize your blog and synthesize the content of the two. Established authors can provide some quality advice from their career experience. Befriend fellow writers on Writers’ Cafe and share your knowledge. These are the contacts who can spread the word about your book. There must be balance between your social marketing activities and writing work. As a writer first concentrate on how well to tell the story. Whatever the type of content that you are creating, whether it is a poem, novel, short story or screenplay, always add your personal touch. These are mediums of expression. Every person has a unique nature and when that reflects in writing, it works wonders. Add a style element to the story. Be unique in your writing. No one will ever appreciate something that looks stereotyped. When you share something on your status on social networking sites, customize it to reflect your style. An element of individuality will make it easier for folks to recognize you. Writing is a complete sphere in itself and people outside this sphere are not concerned with it. Try to tap the people who are interested in reading. Communicate with your friends on social networks. A worthwhile option would be to send Facebook friend requests to people you meet on Bloggers, This way they come in contact with you again and again. In due course of time, these contacts will gleefully read your posts. Make a WordPress blog dedicated to your book. Write a prelude to your novel on this blog. Customize the theme and the design aspects to make it look sober and attractive. Do not attempt to be flashy . Do Hangouts on Google+ with like-minded people. It can also be a great medium to publicize your book at the right time. There’s nothing like casual conversation to get people excited about your book! There are countless opportunities for interactions with other authors around the internet. These are just a few. Check them out, and always remember that your blog is your personal website, and it must aptly shine light on your writing endeavors. Gaurav Raghav like to write useful articles on Loyfly. He is an avid reader of novels and books and a literature buff who also loves to spend time on interesting websites. 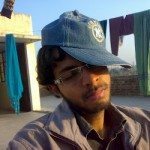 I agree with Gaurav… Social Media is really a great help for bloggers. I find your ideas very interesting and thanks for sharing these 5 useful tips. Being part of any social media like facebook and twitter is indeed a great help for bloggers so that they can gained a lot of readers. And its the easiest way to share and to promote your site as facebook and twitter are leading social network nowadays. 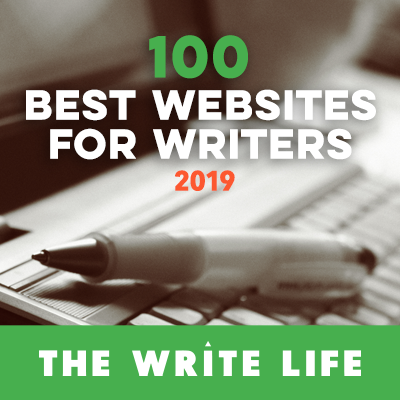 I agree that writer websites are a great way to connect. But Writer’s Cafe is pretty much dead. The owners abandoned it and most of the profiles are spam accounts now. It’s why I left. Great insights, Gaurav. In order to gain a niche to your blog, tap the services of social networks. The key to having a successful blog is through engaging new acquaintances and conversations.